6 1/4" H.--Ceramic Travel Mugs come w/plastic insert lid. Includes "#1 Coach" "Charmerz" on chain! 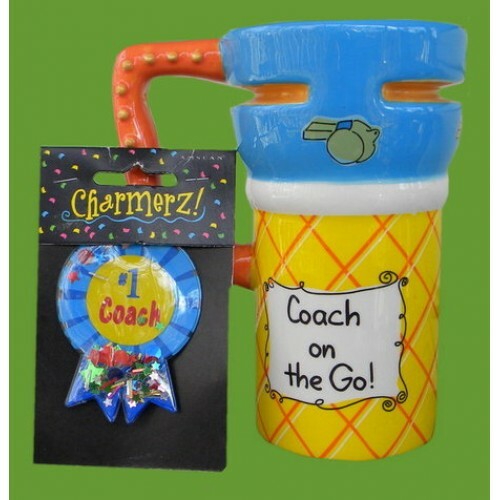 Add $6.00 for Name on Mug.